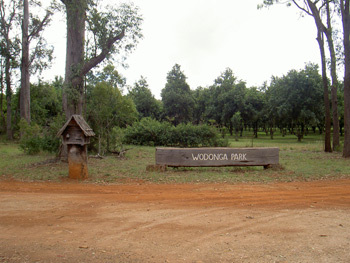 "Wodonga Park" is situated in the cool sub-tropical climate of the Blackbutt Ranges in South-East Queensland. The red volcanic soil is rich and fertile. 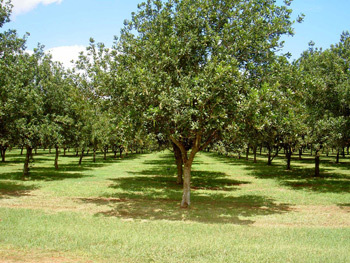 The environment is ideal for growing the macadamias, avocados, lemons and vegetables that we have established. "Wodonga Park" was acquired in the late 1980's and since that time everything has been done nature's way. The current management team have more than 30 years of experience in bio-dynamic farming between them. We believe in the old adage: "You are what you eat" to be true. The same goes for plants: to be nutritious the right balance of natural fertilisers is used and our skilled team apply biodynamic preparations and natural remedies to enhance the quality of the product. Biodiversity within the farming environment limits the damage of insect attack - which are also controlled with natural preparations and the release of predators such as lady beetles and wasps. Synthetic herbicides and fertilisers are not used - instead nature is emulated and by mowing, the grass is recycled and returned to the soil. Fertility is further increased by adding rock-dust and other natural fertilisers such as compost, fish, and kelp emulsion. Nature cannot be perfected upon. 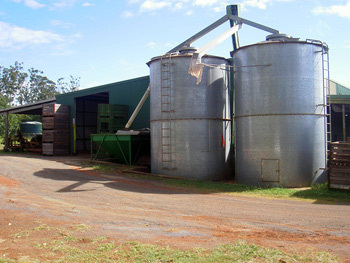 Wodonga Park Fruit & Nuts is devoted to managing the land sustainably. We believe that only through a healthy environment will soil and plants flourish. Through bio-dynamic farming practices recognised by the Biological Farmers of Australia we are ensuring that no chemicals contaminate our products - from the soil through to the processing. Our ACO certification 458BD is your guarantee that our produce meets organic/biodynamic standards both here and overseas. Customers and retailers comment on how our produce looks and tastes better. The secret lies in the fundamentals: good soil and healthy plants. In 2016 a parcel of land near Nimbin in northern NSW was purchased and is being developed for avocados. The land has deep, rich, red volcanic soils and an ideal aspect and climate. There's a fair bit of work ahead and a few years before the first avocados are packed but we're pretty excited about the future.